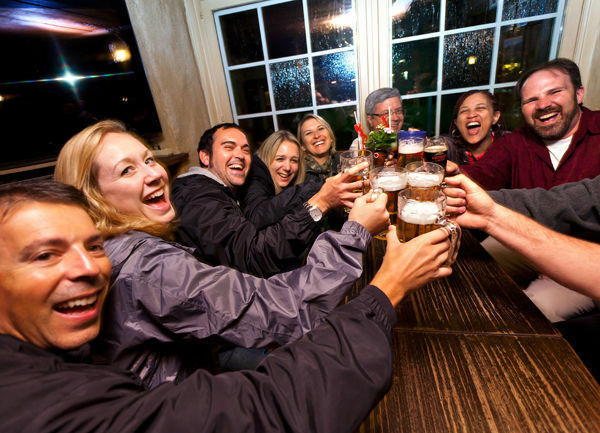 A well-chosen tour can be a fine value, giving you a great trip and a pub-full of new friends. Some tours deliver exactly what they promise. Taking a bus tour can be a good choice if your European vacation time is limited — but you'll want to carefully consider your options before signing up. Offerings range from luxury we-handle-everything bus tours for smaller groups to comfortable midrange tours (like mine, which are also for smaller groups) to low-end, pack-'em-in, big-bus operators for large groups. In nearly all cases, a bus tour includes a professional and multilingual guide, a comfy bus, decent hotels with mass-produced comfort, and some meals. The cheapest tours can cost less than $150 a day. Would you rather travel with a group of 48 or 28? Change hotels every night or enjoy two-night stays? There are plenty of variables to consider when comparing the fully guided tours offered by travel companies. And there are hundreds to choose from, covering a wide price range. The big names are dependable. Abercrombie & Kent, Maupintour, Tauck, and Odysseys Unlimited are high-end expensive. Cosmos and Globus are solid budget options. In between are Insight, Trafalgar, Collette — and my own tour company. No matter which tour company you go with, it's important to do your research. Start by browsing your options online, asking friends, or talking to a travel agent for advice. The tour company may be very big, booking rooms by the thousands; it often even owns the hotels it uses. While these hotels fit American standards — large, not too personal, with double rooms and good plumbing, they're often on the outskirts of town. Keep in mind that the goal of most tour companies is to fill every seat on that bus. On the biggest tours, groups are treated as an entity: a mob to be fed, shown around, profited from, and moved out. If money is saved, it can be at the cost of real experience. When considering tours, remember that some of the best sellers are those that promise more sightseeing than is reasonable in a given amount of time. No tour can give you more than 24 hours in a day or seven days in a week. What a wide-ranging "blitz" tour can do is give you more hours on the bus. Choose carefully among the itineraries available. Do you really want a series of one-night stands? Bus drivers call tours with ridiculous itineraries "pajama tours." You're in the bus from 8 a.m. until after dark, so why even get dressed? 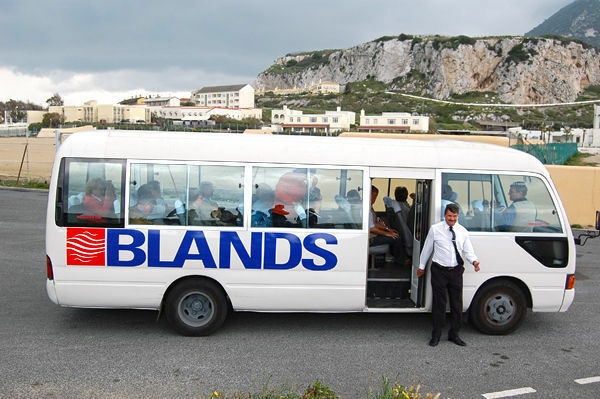 The cheapest bus tours are impossibly cheap. There's literally no profit in their retail price. They can give you bus transportation and hotels for about what the tourist-off-the-street would pay for just the hotels alone. But there's a catch: These tours tend to charge extra for sightseeing, and make money by taking you to attractions and shops from which they receive kickbacks. However, savvy travelers on a tight budget can actually get the last laugh on these tours by thinking of them as a tailored bus pass with hotels tossed in. Skip out on the shopping, don't buy any of the optional tours, equip yourself with a guidebook, and do your own sightseeing every day. Just apply the skills of independent travel to the efficient, economical trip shell that these kinds of organized coach tours provide. Having learned long ago what doesn't work when it comes to bus tours, I've made it a priority to give people taking my Rick Steves tours the best possible experience at a midrange price. I keep my groups small (24–28 travelers), stay at least two nights in most locations (at centrally located hotels), and visit the important sights while also seeking out authentic cultural experiences. I offer a variety of itineraries — Europe-wide, regional, and city tours — and a variety of tour styles — fully guided tours, family-oriented tours, winter tours, and My Way tours, which let you set the sightseeing itinerary (we provide the transportation, hotels, and tour manager). Go with the smallest possible group. A small group can sightsee, dine, and sleep at places that mainstream groups can only dream of. The bigger the group, the more you're cut off from Europe's charms. When 50 tourists drop into a "cozy" pub, any coziness is trampled. Avoid one-night stands. Frequent one-night stops can really wear you out. To help you feel settled for a good night's rest, the best tours let you sleep for two nights in the same hotel whenever possible. Ask where your hotels are located. Hotels set in the historic heart of a city, within walking distance of major sights, make for a far more memorable trip — but some tour companies save money by parking guests in the middle of nowhere. If the tour brochure says you'll be sleeping in the "Florence area," that could be halfway to Bologna — and you'll spend half your sightseeing time on transportation to and from the city center. Arrivederci, Firenze. Get explicit locations before you decide. Look for authentic eating experiences. Pick a tour that offers a generous taste of the best local dishes. A common complaint among travelers is that tour meals don't match the country's cuisine. Avoid a tour that offers too many forgettable buffets in big, impersonal hotel restaurants. Find out about the guide. The quality of your guide can make or break your travel experience. Ask if your tour guide is salaried, or paid through tips and/or commission. Guides from most tour companies make the bulk of their income from tips and merchant kickbacks. A salaried guide can focus on creating memorable travel experiences for you — not on selling you an optional sightseeing or shopping excursion. Take a close look at what's included — and what's not. Many budget tours expect you to shell out additional cash during your trip to cover "optional" sightseeing, charging as much as $50 or $100 extra for each excursion. Confirm which sights you'll see. Do you at least recognize them? Don't assume that every famous museum or castle will be included in your itinerary. Some companies choose sights for their convenience rather than merit. For instance, the Lion Monument in Luzern, Switzerland is mediocre. What makes it "great" for tour companies is its easy tour-bus parking. Meanwhile, Leonardo da Vinci's Last Supper in Milan may be passed over because it's expensive to visit and its mandatory reservation system is inconvenient. Ask if the tour price is locked in once you make your deposit. Some tour outfits reserve the right to increase the price after you've signed up (depending on how many travelers sign up and/or currency fluctuations). Choose a company that guarantees the price will not change. Read the fine print. What are the company's policies regarding cancellations, refunds, and trip interruption/cancellation insurance? When you're selecting a bus tour, the cost you're quoted isn't the only factor to consider. Investigate how many people you'll be traveling with as well as what extras you'll be expected to cover. Most tour companies include customer feedback on their websites — look around and see what previous tour members have to say. When comparing prices, remember that airfare is not included. The chart below illustrates what to expect from a range of tour companies. How many nights and meals are included in the price? Are admission costs for sights included? Do singles pay a supplement? Can singles save by sharing rooms? Are optional excursions offered? Average cost? Will the guide and driver expect a tip? Approximately how much? Does a deposit lock in the advertised price? How many travelers will be on the tour? Roughly what is the average age and singles-to-couples ratio? Are children allowed? What is the minimum age? Which sights are on the itinerary? What is the driving time between destinations? How many nights are planned at each destination? Are hotels located downtown, or are they on the outskirts? Does each room have a private bathroom? Air-conditioning? How many meals are eaten at the hotel? How can I see tour evaluations from past customers?